THE PHILADELPHIA MEDICAL AND PHYSICAL JOURNAL. IN THE UNIVERSITY OF PENNSYLVANIA. PRINTED BY T. & G. PALMER, 116 HIGH-STREET. XV. Sketch of the Medical Topography of the Military Tract of the State of New- York. In a Letter from Dr. John H. Frisbre, of Camillas, to David Hosack, M. D., of New-York. Communicated to the Editor, through the hands of Dr. William Currie, of Philadelphia, by Dr. Hosack. YOUR letter of the 10th of September was received on the 4th of October. Professional and other business, of the first necessity, prevented me from answering it until now. I shall comply with your request, with the utmost cheerfulness. Answer. I became a resident of this place in May, 1797. For the first two years, my practice was pretty much confined to the limits of this town. Since that period, my business, particularly in surgery, has been extending into the neighbouring towns, so that to describe the face of the country in which I practise will be to describe the face of the whole of the Military Tract. This country, with a few exceptions, may be called level. There are, indeed, in it some hills; but few, if any, of them exceed three hundred feet in height from the surface of our lakes, and streams of water. These hills rise by an easy and almost imperceptible ascent, so that I know of none, in this tract, that will not admit of cultivation by the plough. The country may be divided into three general sections, viz. First, the elevated lands of Pompey, Fabius, Homer, Locke, and Dryden. Secondly, the country south of these towns, in which the streams of water descend to the south, and fall into the Susquehanna. This part of our country may be said to be healthy: for but few cases of fever occur in it, and they are in the mildest form of intermittents. 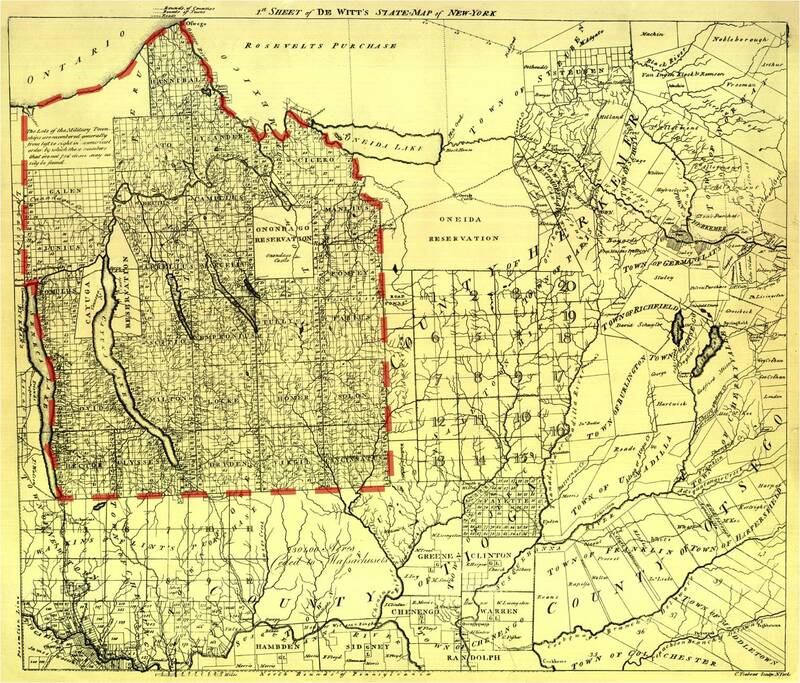 The third general division, comprehending the Lakes, their Inlets, and Outlets, is that part of our country which is the most subject to fevers, and with which I am the most acquainted. This division, however, must be subdivided into the Calcareous country and the Alluvial. The limestone extends from the eastern part of the military lands to their western boundary. It is from ten to twelve miles in width. It can be easily traced on its north line, through the towns of Manlius, Onondago, a small part of the town of Camillus, through the town of Aurelius, to the Cayuga-Lake. Its southern boundaries are not so easily defined. The limestone is, in general, found covered with a bed of clay, from two to six feet in depth, which, in wet seasons, renders the roads almost impassable. This calcareous tract of country, although not so healthy as the two first divisions, is much more so than the one to be described presently. The water in this tract, although not good, is better, and the air is purer, than in the alluvial tract. Many of the fevers of the worst type may be observed to commence with this and the neighbouring towns. 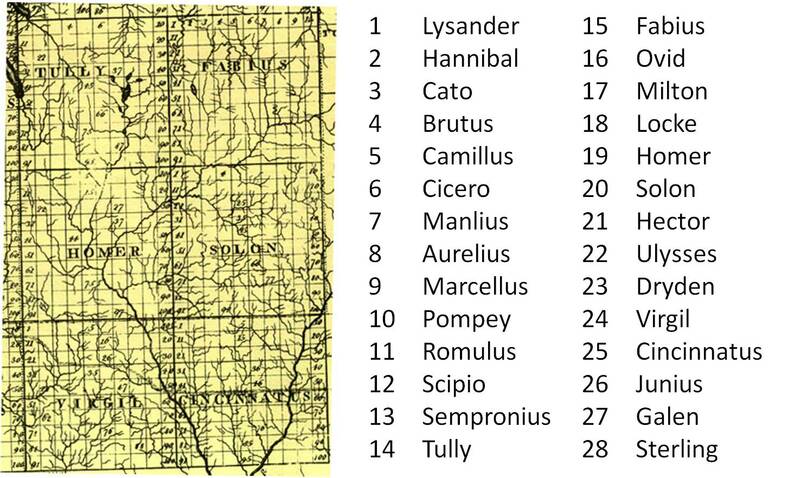 The alluvial country embraces the towns of Junius, Galen, Cato, Lysander, and Hannibal, on the north side of the Seneca and Oswego Rivers; and part of the towns of Aurelius, Camillus, Onondago, Manlius, and the whole of the town of Cicero, on the south. This tract, from the great number of ponds and marshes, and from its being intersected and watered by the oudets of the lakes, is subject to the usual fevers that are generated by animal and vegetable putrefaction. A particular description of any one of these towns will apply, generally, to all the others. I shall, therefore, describe the town in which I reside. the outlet of the Skaneattelas; the east by the Ostisca; there is one pond, covering about three acres of land, situate on Lot No. 84, near the old Genesee-road, which, at all times, emits a nauseous effluvium; but, in dry summers, is very offensive to all those who live in its vicinity. From the exhalation arising out of this pond, from four streams and marshes, we cannot but have an air highly impregnated with marsh miasmata. On the banks of these streams, around our ponds, and in our marshes, there are swarms of bats, gnats, flies, and muschetoes. The bats are so numerous, particularly in the month of August, that in crossing the Seneca, in a still evening, you may strike, at random, and cannot help killing, some at every stroke. They will frequently fly against you, and fall down in the boat. It is on the banks of these streams, and near our ponds and marshes, that we find the most and the worst cases of fevers. The mud is frequently found of great depth, and our small streams, in many places, are not easily fordable on this very account. The soil, in some parts, consists of a black mould, of considerable depth, and, when trod up, has the appearance of lamp-black and hog’s fat, mixed together. In other parts, we have large beds of clay, which is, generally, found covering a stratum of limestone. In some parts, we have a soil of a reddish cast, which appears to be a compound of red sand and clay. This kind of earth is found, in the greatest abundance, in the town of Lysander, and is highly esteemed by out farmers for raising Indian corn. There is a fourth kind of soil, consisting of sand and brown loam. This soil has once been covered by PitchPines; for it is not uncommon for the farmers to plough up, in it, pitch-pine knots; and in some places, a cartload of such knots may be collected, in this way, out of the earth, in a very short time. It is remarkable, that there is not a pitch-pine tree to be found within a great many miles of this place; and, in fact, I have not, to my recollection, ever seen one since being in the Military Tract. The country is, in general, heavy timbered. There are some groves of White Pines, Hemlock, Beech, Maple, Button-wood, Butter-nut, Hickory, Chesnut, Oak, Cherry, Elm, Poplar, Bass-wood, White-wood, Ash, and a variety of other kinds. The water, in some places near the Seneca-River, is salt; in many places, brackish, bituminous, sulphureous; and it is frequently found of a ferruginous taste. All the streams which arise in the calcareous tract of country, deposit a calcareous sediment. The water, in this division, is generally bad, and offensive, especially to strangers who are not accustomed to its use. There are some Sulphur-Springs in the Military Tract. The one most deserving of notice is found about three miles north of Levana, in the county of Cayuga. On the surface of these waters a scum is frequently met with, resembling sulphur, in colour, taste, and smell. After a heavy shower of rain, all the temporary ponds, and holes of stagnant water, will be found covered with a scum, resembling sulphur. Answer. As there are no meteorological observations made in this part of the country, this question cannot be answered in an accurate manner. In general, we experience considerable heat in our summers, more particularly in the alluvial tract of country. Answer. They are. A great difference is, however, observable between those summers which are dry, and those which are otherwise. The former are most productive of fevers. Answer. Bilious fevers, of the remitting and intermitting type, tertians, and quartans. Fevers of the above description may be said to be the regular diseases of our summers and autumns. Intermittents often continue through the winter. Answer. In dry summers, our fevers generally commence about the first of July, and begin to abate about the 15th or 20th of October. Intermittents frequently run into remittents, and, by proper treatment, vice versa. Answer. The symptoms, on the first attack, are not always uniform, in every patient; nor are they so in several successive seasons. The fever of this year (1803) has been ushered in by cold chills, alternating with a sense of heat, lassitude, soreness of the flesh and bones, pain in the back part of the head, and, in some instances, extending down the spine. In some cases, there was pain under the frontal, and in others under the temporal, bones: pain in the breast, with difficult respiration; while in many there was a dry hecking cough. Some patients were affected with a pain in the lumbar region; others with a pain in the stomach, the lungs, the liver, and the spleen. The large intestines, the diaphragm, and the mediastinum, have, in different patients, appeared to be the seat of the local congestions. The pain in the head is often periodical, and is accompanied with fever. The fever sometimes commences with vomiting of green and yellow coloured bile. In some cases, there is a constipation of the bowels; in others, dysenteric symptoms occur. Since the first of July, I have had upwards of 200 patients under my care, with inflammations in the eyes. Some are confined suddenly; but, for the most part, the patients are complaining several days before the more violent symptoms appear. A great proportion of them attribute their disorder, at first, to a bad cold, which prevents them from sending for medical aid for some days. Answer. The greatest number of cases may be said to commence with a chill; and the patients are worse every other, every third, or every fourth, day. The intermissions or remissions are generally obvious where depleting means have been used on the third day, sometimes on the fourth. But by far the greatest number of cases are worse every other day. Bilious vomitings are frequently met with; a nausea always. Emetics, when given after a copious bleeding, and in the first stage of our fevers, are generally attended with good effects. A remission of the fever almost always occurs shortly after the operation of an emetic, and the fever seldom ever rises to its first height after bleeding, and evacuating the contents of the stomach and bowels. I have heard of some instances where emetics have been said to do harm, by reason of the violence of their operation. But this happened where they had been administered previously to bleeding. I have met with few, if any, cases in my practice^in which I have not thought I perceived considerable advantage from the use of emetics. Answer. When I first commenced practice in this country, I used, in general, the following febrifuges: viz., James’s-powder, and emetic-tartar. With the use of these means, the usual diluents, such as balm-tea, sage and maiden-hair teas; rice and barley water; and a low diet. My patients generally recovered. The deaths, in cases of bilious fevers, have, at no time, exceeded one in fifty. This season, which has been sickly, out of between four and five hundred patients, I have lost but one. This was an aged woman, of the name of Leech, a resident of Lysander. The first time I saw her, the symptoms were putrid in a high degree. She lived five days after I saw her, and died on the eleventh day of her disorder. I have been called, as a consulting physician, to some others, in the last stage of the disease, and when the symptoms have been nervous and putrid. These, in a few instances, have died. These cases, as occurring out of the ordinary course of my practice, and not exclusively my own patients, are to be excepted. This season, my practice in fevers has been different, owing, however, to the symptoms being more inflammatory than in preceding years. I commence, as formerly, with bleeding, once, twice, or oftener, if necessary: then I give an emetic; after which I exhibit nitre uncombined, or order an infusion of the root of Little Solomon’s-Seal, for a constant drink. If the emetic should leave the patient costive, I give, in some cases, a pill composed of soccotrine aloes and tartaremetic; in others, sulphur, which often answers better than more drastic purgatives, and will sometimes move the bowels when they fail. When rheumatic pains occur, I give flowers of sulphur and g[um]. guaiacum, combined. When dysentery occurs, which I conceive to be the same disease differently modified, I bleed, use the abovementioned infusion, and administer Dover’s-powder twice in twenty-four hours, in a full dose. I also make use of the starch-clyster with laudanum, the usual glutinous drinks, and diet. When the fever appears with inflammation of the eyes, another modification of the disease, I bleed, give nitre, order an infusion of the roots above-mentioned, administer a cathartic (most generally Glauber’s salt), epispastics, and sometimes sulphur, in lieu of salts, in some cases. When the inflammation does not subside from the use of the above means, I introduce setons, and bore the ears. I forgot to mention the use of the sugar.of lead, dissolved in water, and pledgets of fine cloth wetted with it, and applied cold to the eyes, as one of my first applications. After the inflammation has abated, I generally wash the eyes with weak brandy and water. My method of treating intermittents is as follows. I bleed in the greatest number of cases, for I almost always find a determination to some of the vital parts. I give an emetic, then recommend to my patients to do nothing for their complaint, until they have had about twenty regular paroxysms. I then order another cathartic, after the operation of which I give the bark, alum, and ginger combined. Most generally, after taking the first dose, the fits leave them, and do not after again recur; never, indeed, when the patient is prudent in returning to his former habits of industry*. * See Note A, at the end of this article, in the next half volume of this Journal. frequently became putrid, &c. I have often seen pleuritic cases observe the type of an intermittent. What would be the effects of the usual practice in such cases*? Answer. The general duration of our fevers may be said to be about nine days. Some, however, terminate, when speedy medical aid can be procured, on the 3d, 5th, 7th, 11th days; while some cases extend to the 20th day, and even beyond that period. Answer. In preceding seasons, in bilious remittents, the proportion was one in fifty. This season, I can almost say, that not one has died in the circle of my practice, or but one, Mrs. Leech, formerly mentioned. I had not an opportunity of seeing her till the disease was in its advanced stage. I have always thought, that if depleting means had been used early in this case, it would not have ended fatally. Answer. I make but little use of the bark in our fevers. I prefer letting them recover without the use of this medicine. When they are convalescent from the fever, and when the intermissions are obvious, I do not use the bark. I find it to increase all the febrile symptoms; that the next paroxysm after the use of this medicine returns with redoubled force, and that the remissions are less obvious, and the complaint soon verges to the last stage, putrid and nervous. I have, therefore, with great caution abstained from the use of the bark, and the usual tonics, in our fevers generally. dular parts, with small doses of calomel, opium, and camphor, musk, castor, and saffron combined. Answer* When the disease proves fatal, it is, in general, on, or about, the twentieth day. 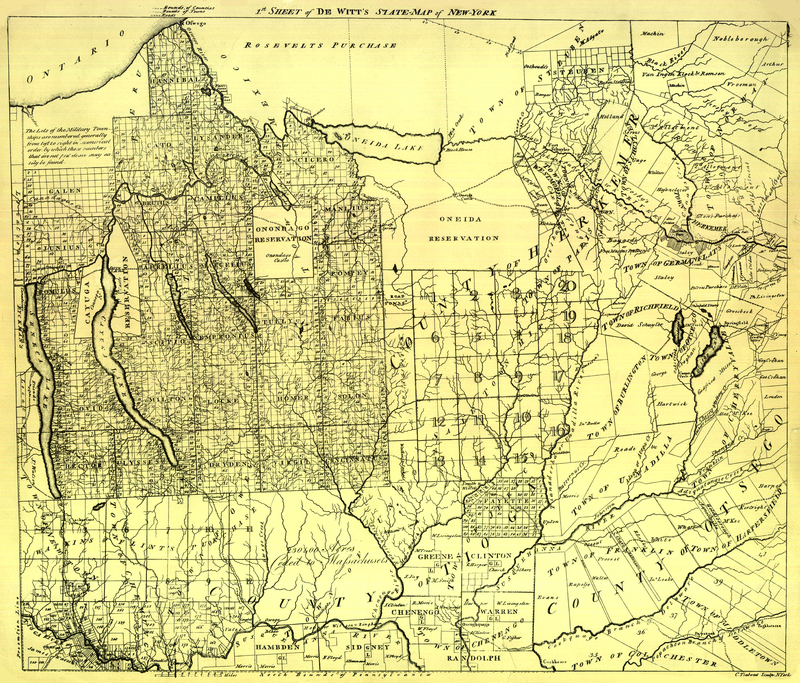 We have had one instance, in this country, of a fatal termination on the seventh day (Edward Donner, of Onondaga), who was supposed to have taken the fever by being several days on and about the Onondaga-Lake r one in Scipio, county of Cayuga, who died on the fifth, and one on the ninth day of their disorder. The two last were taken ill soon after being exposed to marsh exhalations, at the outlet of the Cayuga-Lake. A company, of about twenty persons, went from the town of Scipio to the outlet, where there is a large marsh, to procure hay. Twelve of the twenty sickened, and two died. About the same number went from the town of Milton, at the same time, and the effect, I am informed, was nearly the same. It is a common thing, to hear of the inhabitants of the soutliern towns, being taken ill of fever, shortly after being exposed to the exhalations from their lakes., streams, and marshes. * * * *. Doctor B. Beach, of Marcellus, who is in the employ of the directors of the western turnpike company, informs me, that in taking up a causeway, across a marshy piece of road, in’ the summer of 1802, five out of seven of his hands, who were employed in removing the timber, sickened. He attributed their sickness entirely to the effluvia arising from the sloughy spot. All these patients recovered. The tongue, at first, appears whitish. On or about the ninth day of the disease, sometimes sooner, if the complaint does not terminate in health, it begins to assume a brown colour, sometimes a black colour, and is much furred. The teeth, about the same time, become black, and covered with a brownish or black crust. The patients, in this as well as the preceding stages, are very thirsty, often beg, and if denied will steal, large draughts of water. Answer. An affection of the stomach may, in general, be considered as one of the first symptoms. I have often been called to patients taken in the night, and found them discharging from the stomach yellow and green-coloured bile. This irritation sometimes contk ‘nues through the disease. I often cure it by the application of an epispastic to the region of the stomach, with bleeding and an emetic. The irritation generally goes off the second or third day. The discharge resembling coffee-grounds is a rare occurrence. I have met with but one instance of it, since I have resided in the western country. This was in William Gilchrist, junr. His complaint was uncommon throughout. He was taken ill in the fore part of the season, with a vomiting of bilious matter, which continued, without much abatement, for three or four months. The quantity of bile which he discharged, in this way, is almost incredible. When I was called to him, a few days previously to his death, I found him emaciated, to an astonishing degree. He had “a haemorrhagy from his gums; or, rather, an oozing of blood from them. There was a tumefaction of the liver, and he vomited, several times while I was with him, a matter resembling coffee-grounds. Notwithstanding his weakness, and almost constant vomiting, he lived seven days after I saw him. He continued, until within a few moments of his death, to discharge not only his diet, but. every thing that had been administered to him. This, I say, is the only instance of black Vomit that has ever, to my knowledge, occurred in this country. Haemorrhages often take place, not, however, this season. I have met with them from the nose, the ears, the lungs, and from the gums, from the uterus, urethra, from issues, setons, and ulcerated legs: but not, generally, to an alarming degree. They are easily subdued, and are seldom fatal. I have never, in any instance, seen a haemorrhage from the pores or surface of the body. On their first attack, our fevers are evidently inflammatory, and a determination is generally discovered to some vital part. When congestion appears, or determiration to the head, a delirium is the consequence. This symptom, however, with the others, generally goes oil” soon after using evacuations. In some cases, the head is periodically affected. To persons thus diseased, after depletion, I have given large doses of the bark and opium, which, with blisters, will generally effect a cure. The pulse is full and strong. In the first stage, it does not often exceed 120 strokes in a minute, and is frequently found beating from 95 to 115. I have met with some cases, in which the pulse was much slower, proceeding from an approximation to indirect debility. » “” I have met with the intermittent pulse; with a soft slow pulse: this happens where the brain appears to be most affected. But, in all these preternatural states of the pulse, venesection will abate its frequency in the one case, and increase the number of pulsations in the other. N. B. The remainder of this paper will be given in the next regular number of the Journal. XVIII. Sketch of the Medical Topography of the Military Tract of the State of New- York. In a Letter from Dr. John H. Frisbre, of Camillus, to David Ho Sack, M. D., of New-York. Continued (and concluded) from the Medical and Physical Journal, Vol. II. Part II. page 85. Query 17. “WHAT treatment do you find the most successful? Answer. In replying to query eleventh, the mode of treating our epidemics in former seasons, as well as in this, was described. The simple mode of treating them, which has been practised this season, at first view, appears to have had the best effect. Whether this has been owing to any essential difference in the disease itself, making it different from the epidemics of preceding years, can only be known, with certainty, by trying it, for several successive years. My own opinion, which corresponded with that of most of the practitioners in this quarter, is that the fevers of this season have been much more inflammatory than has generally been the case. The practice of giving nitre, as a febrifuge, instead of antimonials, in our fevers, has not, until this period, been much in use in this country; neither has the infusion of Little Solomon’s-Seal ever been given by any regular practitioner, in this country, to my knowledge, till I recommended it. I found that the Indians used it in fevers, by the name of ” White-root.” This suggested to me the propriety of trying its effects. I found it to form an agreeable mucilaginous drink, and have used it myself, during the whole of the season. Those physicians to whom I have made mention of its apparent good effects, after recommending it themselves to their patients, have told me that they thought it an excellent drink in fevers, and preferable to any in common practice. I am so well persuaded of deriving benefit from it, that I shall continue to use it, until I shall think otherwise. Supplementary Answer to Query 15. The appearance of the skin, on the first attack of the disease, is sometimes natural, but often of an orange colour. This occurrence generally disappears as the disease advances, especially where the depleting means have been freely used. I know of but few cases in which the skin was yellow after death. This appearance may be said to take place once almost every year, in some part of thc Military Tract. It happened in the case of Elijah Laurence, who died in the fall of 1800. It has occurred once this year in the town of Scipio, and I have heard of three or four other cases, in different parts of this and Cayuga county, since my residence in the western country. There is one symptom which has appeared to distinguish the epidemic of 1800. Glandular swellings were frequently met with. They generally discharged a good pus, and this was a favourable symptom. I had one patient, in the period lasSunentioned; a son of C. V. O., who had a number of glandular swellings, which suppurated, and discharged pus of a healthy appearance. After some time, and when he appeared to be recovering, abscesses formed in other parts of his body. I opened, at different times, about thirty of them: they all discharged pus of a proper colour and consistence; he was neglected a few days; and a large abscess formed upon one ham, which discharged so much, that he began to fail; and, just before death, matter issued from his ears. He died without a struggle, and with the same tranquillity that a person goes to rest.